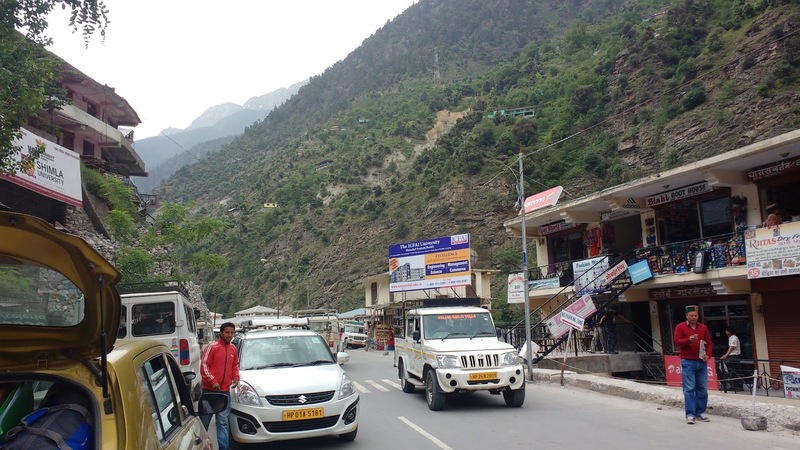 Narkanda to Sangla is a wearing journey . We had a late breakfast of alu parathas on the way. In about an hours time we would reach Sangla.The roads had started becoming very treacherous.We had started dozing off in the car, when the driver announced that we shall stop at Tapri for lunch.We were still not hungry for lunch,so we asked our driver "Sangla me lunch nahi milega kya"(shall we not get lunch at Sangla). He answered without hesitation "Milega,lekin is jaisa nehi milega"(you will get lunch in Sangla but not like this). Reluctantly we dragged ourselves out of the car for lunch and got seated at the wooden benches. Suddenly everything sped up.The plates and soon the food. 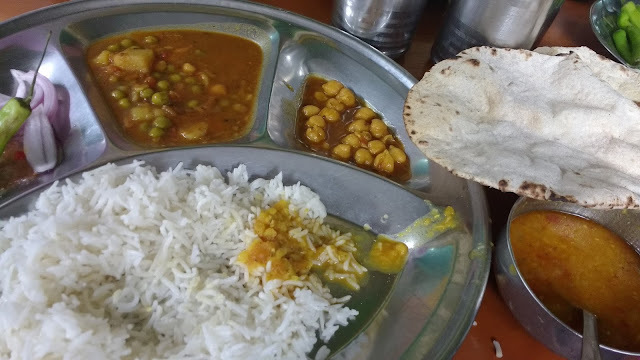 Hot rotis and curry in a separate bowl followed soon.Typical Indian vegetarian fare is the menu,like chana, matar, rajma and dal.The taste of the food at this place is nothing but home cooked. As customers keep streaming in steadily ,they are ushered in by the ever smiling waiters who show them a table.One will not fail to notice the waiters who are always ready to cater to all small demands made by the people at the table.The tables never go empty as tourists and locals throng to the place in equal numbers. The taste of the food was homecooked and so was the service ,as the hot rotis were served straight from the tawa to the plate one at a time. 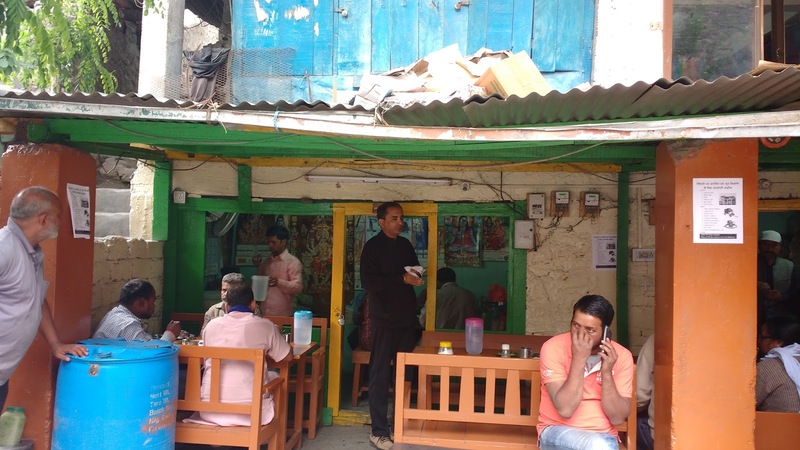 Papu ji ,the owner of the place can be seen standing there and keeping watch ,so that none of his guests go unattented. He makes it a point to ask every single customer if there is something they needed more. In just one meal we could make out that this nondescript place in a small hamlet in Kinnaur ,neither compromised on quality nor quantity . This place has been serving hungry souls on the difficult mountain roads for over three decades now(as he keeps repeating the statement to all) and has become a landmark of sorts in the village Tapri. 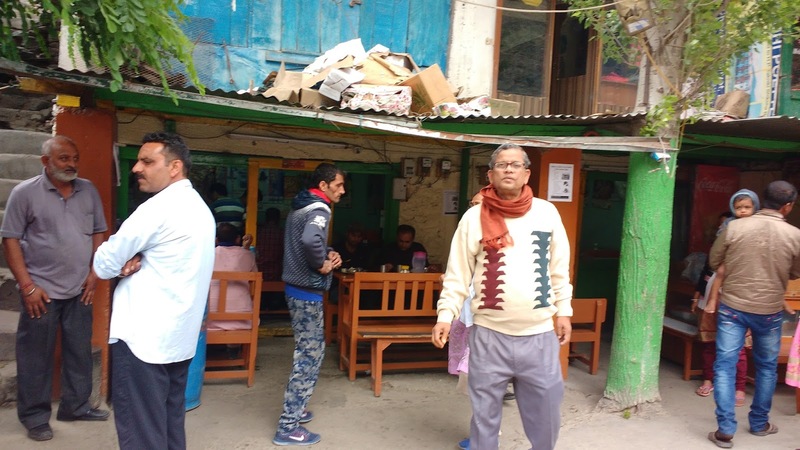 A name synonymous with Tapri ,where you can always spot the septuagenarian standing tall, lovingly giving saunf (fennel)to his guests as he collects the money from them.No wonder ,for his ubiquitous presence and warm hospitality ,Papu Dhaba has found a place in the maps of Kinnaur. 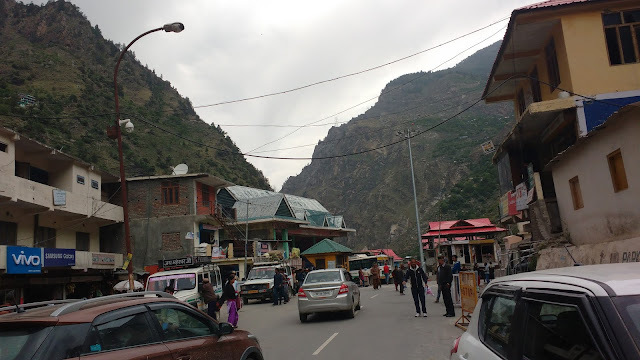 Tapri is a small village on the banks of the Sutlej on NH 22 ,which comes soon after one crosses Wantu village while coming from Shimla to Kalpa .On your way back from Kalpa ,Tapri comes after Urni village on the same road. 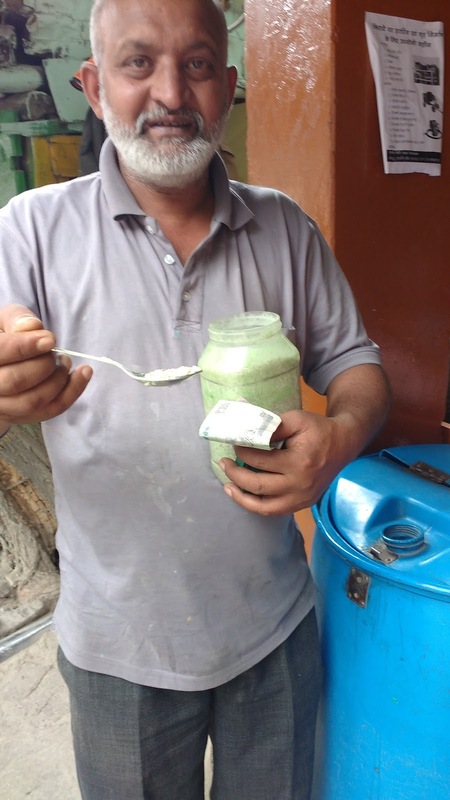 You shall find this dhaba at the main market place on the highway. 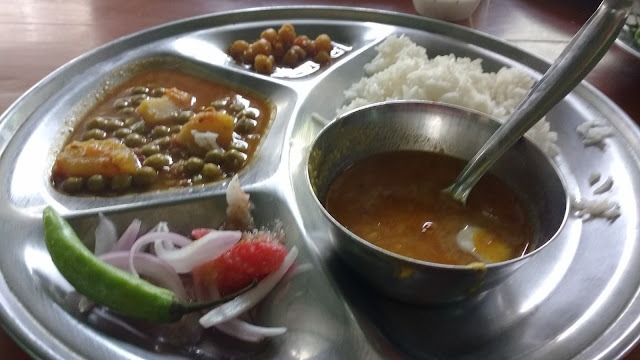 I would highly recommend this place for lunch,where you are served food tasting as good as home for a modest eighty rupees and dollops of care for free.